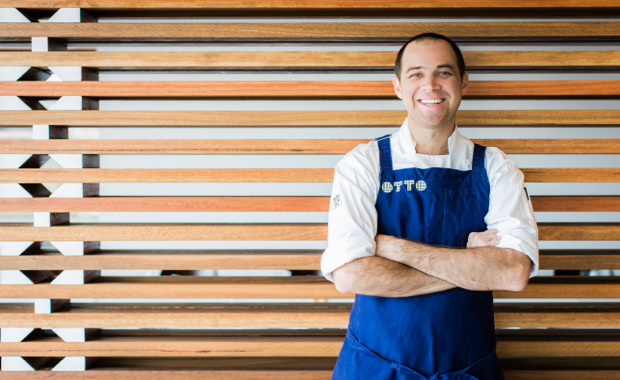 The Fink Group will launch their first interstate restaurant in Brisbane next Tuesday June 14th with the much-anticipated OTTO Brisbane, the sister to its high achieving sibling, OTTO Sydney. Nestled on the fourth floor atrium of DEXUS Property Group’s 480 Queen Street premium office in the heart of Brisbane’s CBD, OTTO Brisbane overlooks the Brisbane River to the iconic Story Bridge. OTTO Brisbane shares the same values of sister restaurant, the iconic OTTO Sydney: CBD waterside and city views, serving great Australian ingredients in a modern Italian style, capturing occasion and place.